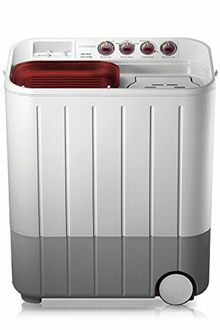 Samsung semi-automatic washing machines are economical appliances that come with two drums, one that washes clothes and the other for the spin cycle. 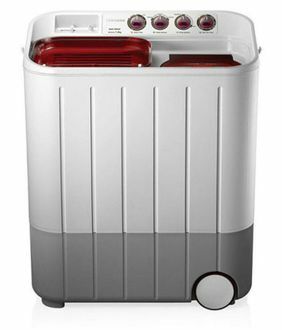 Semi-automatic washing machines are reasonably priced home appliances that can launder clothes in a jiffy with minimal effort for the user. 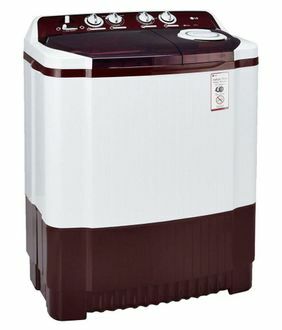 Semi-automatic washing machines are an excellent alternative to the fully automatic washing machines that provide all the services at half the price. 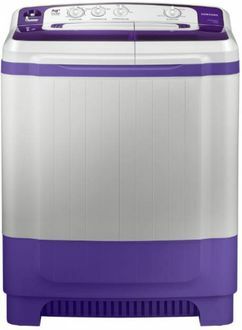 These are usually top load machines and come in sleek plastic bodies that make them lightweight and easy to wheel around the house. The drum capacity ranges from 6 Kg to 8 Kg, and you can select one based on your requirement. 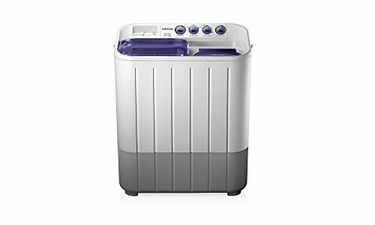 Below is the price list containing 16 Samsung semi-automatic washing machines that are collated from the top ecommerce websites. The prices are last refreshed on 20th April 2019. The Silver Nano Technology integrated into the Samsung semi-automatic washing machines ensures that your clothes remain sparkling clean after the wash. Not only these, but the various wash programs available with these models also give a perfect wash to your laundry. 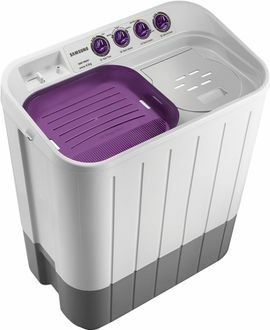 Buy the latest Samsung washing machine model that has got the best user reviews and advanced specifications. Buy from the reputed online stores at the lowest price that has for you lots of deals and offers. Price comparison can lead you to a store that sells the washing machine at a cheaper cost. 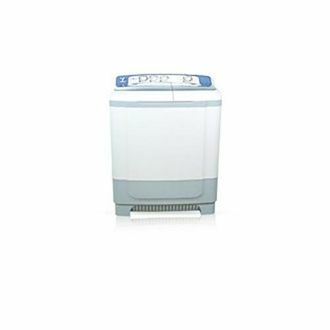 On the top, Samsung semi-automatic washing machines warranty is valid for 2-years.